The Wildcat Sanctuary was contacted by the Animal Humane Society to see if we could provide a home for Andre, a 9-year-old Savannah cat. 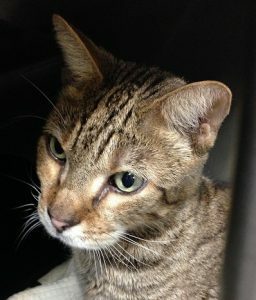 Andre’s owner had recently passed away, and he was surrendered by the family. He was described as a very shy cat that would run when the family approached. After assessing his behavior, the humane society knew Andre needed a special home that understood all of his needs. We were happy to welcome Andre. He underwent an intake exam and is a healthy boy. He needed some reassurance at first. He is shy, but settles in more each day. He is taking treats from us, but prefers a very quiet and calm atmosphere. 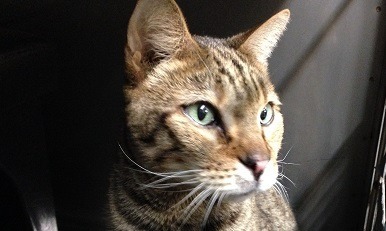 Once he is out of quarantine, we will introduce him to one of the quiet bungalows in Hybrid Haven with other shy cats. Welcome to your new forever home Andre. We are sorry for your loss, but promise to love you forever. You can help provide care and comfort for Andre by becoming his sponsor parent HERE. Feel free to write in his name or email us at info@wildcatsanctuary.org. Learn more about hybrid and Savannah cats here. Andre has really warmed up since he arrived. Since he’s received a clean bill of health, we’ve been able to move him out of quarantine to decrease his stress level. He seems to like the outdoors which is so nice to see. 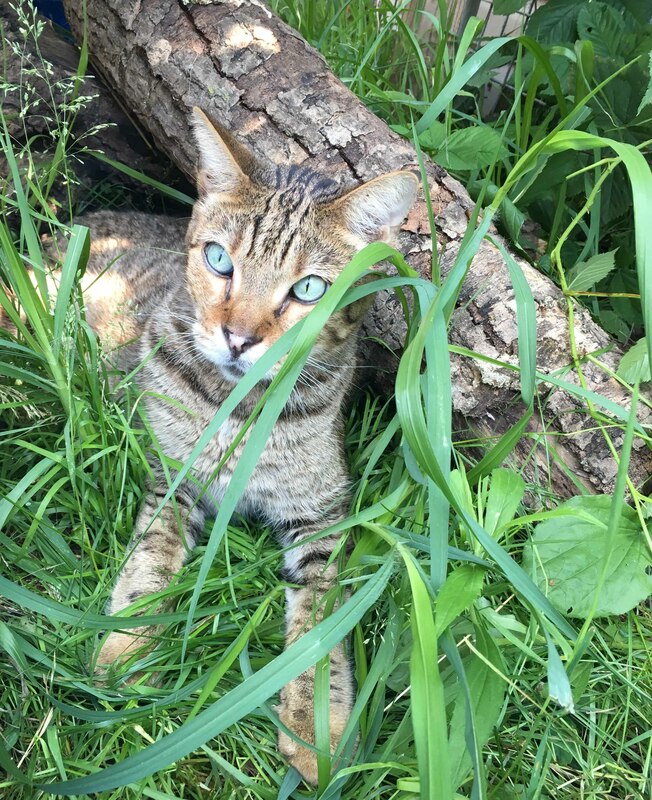 We know he’s shy, so we set up a temporary yard in a bungalow with Jewel, an F1 Bengal cat. Andre spends the day out there and is getting used to Jewel through a shared wall. At night, he’s moved back into quarantine. We’ll continue to increase these playdates until they both get more comfortable with each other. Then, we’ll introduce him into the full bungalow.